Edward M. Childress, 84, of Roanoke, passed away Saturday, July 30, 2016. He was preceded by his mother and father, Stella and Edward Childress; a sister, Nadine Mitchell; brothers, Clyde, Paul, William, and J. C. He is survived by his wife, Beulah Childress; a sister, Virginia Hunziker; sisters-in-law, Ellen Childress, Christen Stump, and Doris Price; brother-in-law, Shelbourn James; along with many nieces and nephews. Mr. Childress was an avid bowler, bowling the first 300 game in Roanoke in 1964, and was voted in to the Bowling Hall of Fame in 2011 for his Outstanding Performance in the Sport of Bowling. He loved working at the Berglund Center, and he retired from the Singer Furniture Company. He served proudly in the United States Army and was a longtime member of the Oakland Baptist Church. The family would like to thank the staff at Friendship Manor, the Salem Veterans Hospital, the hospice group and his baseball buddy, Charlie Givens for the great care provided during his illness. Condolences maybe left for the family by visiting http://www.simpsonfuneral.com. Arrangements handled by Simpson Funeral Home and Crematory, 540-366-0707. Raymond C. Riley, 79, of Bonsack, passed away from his loving family to the presence of his Lord after a lengthy illness early Friday morning. Born in Louisiana, he obtained an Associate Degree from Hannibal-LaGrange University and served in the Naval Reserves.He then married his beloved wife, Delores Darlene Jeffries, and over the next 59 years they lived in Missouri and Illinois until moving to Virginia with the railroad in 1972. After joining the Vinton community, Raymond continued working for the Norfolk Southern Railroad until his retirement in 1995. After his retirement, he and Darlene became avid bowlers where he served as President of the Greater Roanoke Area USBC. In 2011, he was inducted into the USBC Hall of Fame for meritorious service. He is survived by his two daughters, Raylene Riley of Blue Ridge, and Regina Watkins and son-in-law, Leo, of Troutville; grandchildren, Ashley Watkins, Morgan Barr and Nathan Watkins. The family would especially like to thank caregiver, Loquine Hamilton, the staff at Carilion Vascular ICU, and all of the other health care professionals that helped Raymond during his time of need. Those wishing to make a donation, please consider a charity of your choice. Lonnie McCoy Pratt, of Roanoke, was born on March 22, 1928, and passed away on Monday, May 6, 2013. His favorite pastimes were baseball, fishing, bowling and dancing. He was a member of the Roanoke Bowling Association, where he was the first inductee into the Roanoke Hall of Fame. He also was a member of the Roanoke Moose Lodge, Roanoke Jaycees, and was an ardent fisherman, where he had earned multiple citations for his flounder. More about Mr. Pratt can be seen under our “In Memorium” page. 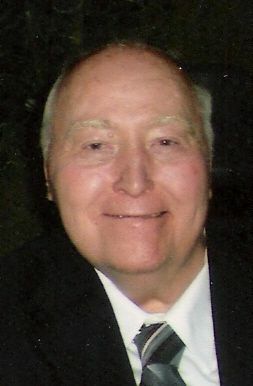 On Friday, December 3, 2010, George Bernard Poindexter, 85, of Roanoke, Va., went to be with his heavenly Father. He was born on January 6, 1925, in Franklin County, Va., to Roy H. and Zelma B. Poindexter, both deceased. He married Marie Wright in Roanoke, Va., on November 23, 1945, and was preceded in death by her this year. George was a life long member of Huntington Court United Methodist Church in Roanoke, and was a charter member of the Crusaders Sunday School Class. He served his church proudly over the years as an Usher and on various committees. He was a 1942 graduate of William Fleming High School, and served in the United States Army 4th Infantry Division in Europe during World War II. He was employed by Norfolk Southern Corporation in Roanoke for 42 years, and retired as Assistant Manager of Payrolls in 1985. George and Marie held dear the William Fleming Golden Colonels reunion activities with their friends for all their life. His favorite hobby was that of bowling, and he served many years as Secretary Treasurer of the Roanoke Bowling Association and the Virginia State Bowling Association. He was honored by election to the Virginia State Bowling Hall of Fame, and had life membership to both associations. A new RBA Team Scratch Game Record was set on February 6, 2002 at Vinton Bowling Center.